No one understands the dangers of a high-sugar diet more than local physician Dr. Jody Stanislaw, ND. 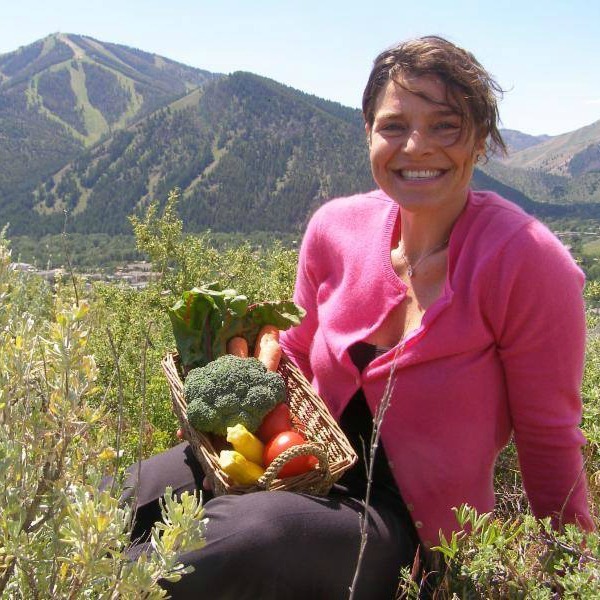 A Type 1 diabetic since the age of seven, she helps patients near and far navigate natural and nutritional solutions to health challenges, especially those associated with diabetes. Food is an essential ingredient in Dr. Jody's wellness recipe. No one gets past a first appointment without an honest look at their diet. And fresh, seasonal, locally grown fruits and vegetables are always part of her prescription. Why is sugar NOT a treat? ‍Given all the disease states that it contributes to, it creates more deaths than automobile accidents. How do you use food to support your philosophies of individual health? Community and local economic health? The environment? Broadly, any food unadulterated from its nature-made state; each patient has individual needs – some might be allergic to eggs, fish or nuts; some should avoid grains especially Gluten. There are some healthful processed foods – a flax cracker made from flax seeds, apple cider vinegar and salt, for example. Food is also an emotional love – I’m not looking for perfection. Good food could be a brownie or choc chip cookie if it’s in moderation. I use the 80-20 rule – nature made food 80% of the time and non nature made 20% or less of the time. Michael Pollan, Jamie Oliver, my boyfriend, because they are educating others – in some cases millions – about healthy whole foods. My boyfriend (a police officer) takes his homemade salad to work and his co-workers laugh at him – he just laughs back. What’s your favorite food to cook or grow? It’s amazing to see any food grow and then harvest and eat it. So fresh and straight from nature! I like to cook soups in the winter and other really easy one-pot meals. Yesterday I boiled chicken in water (I was too lazy to defrost it) and simmered it all day adding all the leftover veggies from my fridge. I just threw whatever I had in the pot and it worked! It’s not like baking – you can’t screw up soups! I certainly don’t want to eat pesticides. I’m thrilled there are organic farmers out there. I don’t really trust the process – the green USDA organic label means 100% organic, but the black one means NOT 100% organic. This is not fair to the consumer because they are not aware. Even when I buy organic produce – what about it is organic? The soil? Just no pesticides? One thing I do know is that I’m definitely eating chemicals if I don’t buy organic. I stay away from the Dirty Dozen (ewg) - if there isn’t any organic broccoli I’ll buy conventional but not with apples because they are at the top of the Dirty list. From my understanding many GMOs produce their own pesticides – the genes in the corn have pesticides so we are eating pesticides – it’s beyond simple hybridization. The specific problem associated with the term GMO is that the foods are producing their own pesticides. Also that 90% of the corn & soy in the US are GMO – I don’t buy them because we are finding out more and more each day how important microbiomes are to our overall health so I certainly don’t want to be killing those. My favorite thing to do is get people eating healthier and then watch how great they feel. If we don’t talk about healthy food we never get to be healthy and happy, not just on the Local and individual levels, but also at the global level. I wish that all the Kraft and Kellogg people would disappear! And that local organic production takes over again and all these huge companies (10 that make the majority of the world’s food) die out and local food takes over! I’d like Julie Johnson’s Nourish Me to be twice as big! I’d like more ease in getting what you need from local farmers. I’d like offerings of local food to grow bigger.